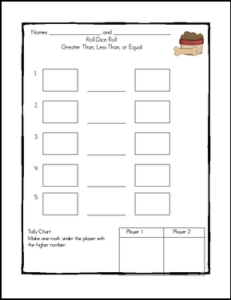 This is a dice game that can be used in math workstations. Students practice greater than, less than, and equal to numbers 0-999. A list of teacher tips on how to modify so that all students can participate is included. It includes a student recording sheet.